Trust in store – it’s a part of e-commerce where you need to be very careful. 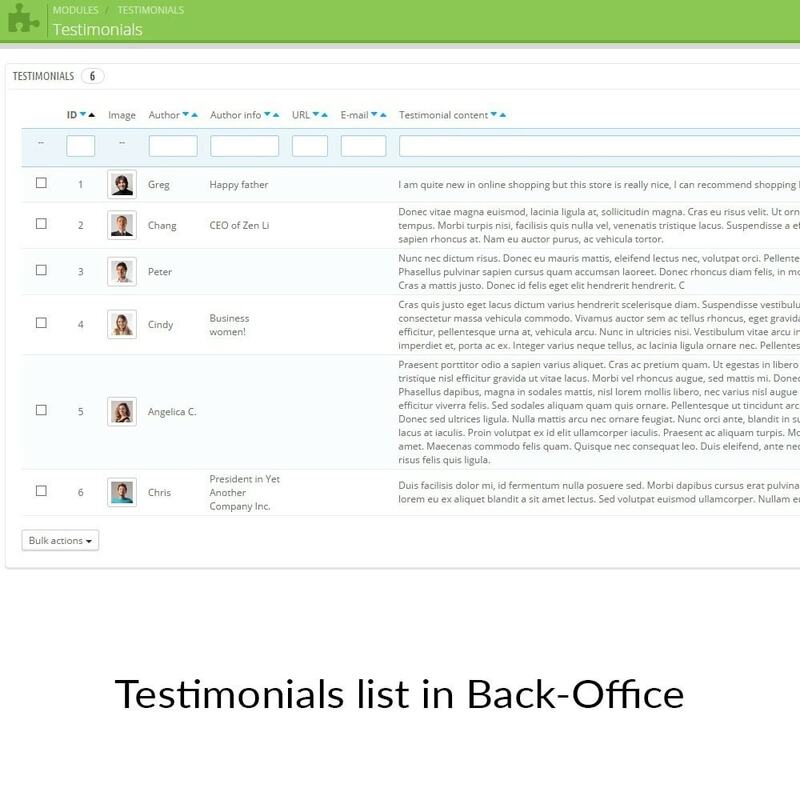 With our module you can display testimonials added by your customers. This module surely increase customers confidence in your store. Your customers can support your store and leave nice testimonial. 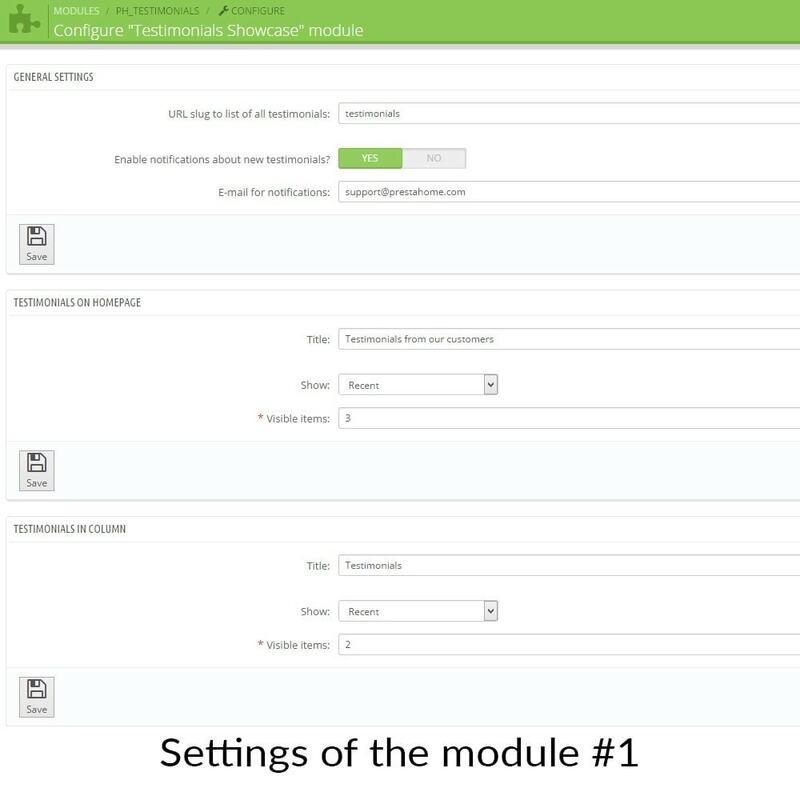 Simply add new module by going to Modules -> Add new. 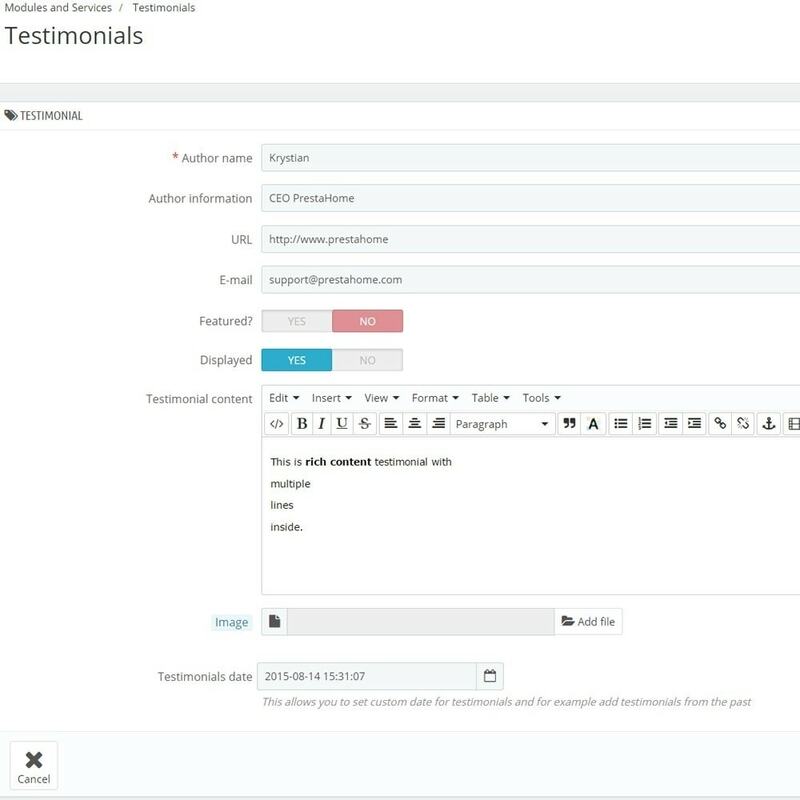 You can manage configuration in Modules -> Testimonials -> Configuration and manage testimonials by going to new menu tab added in Modules -> Testimonials. 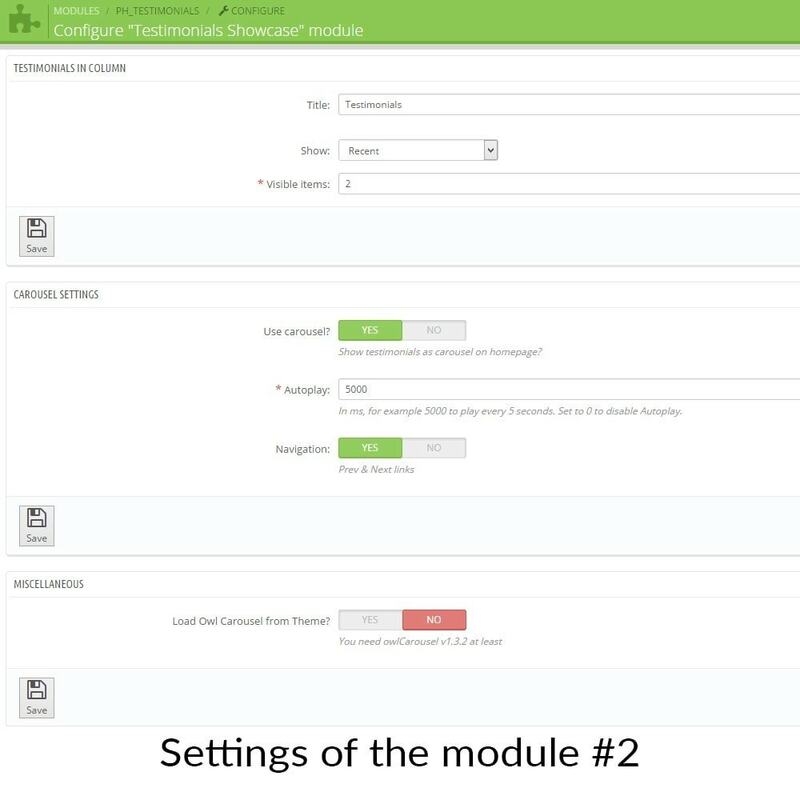 You can access module configuration directly from new administration tab. 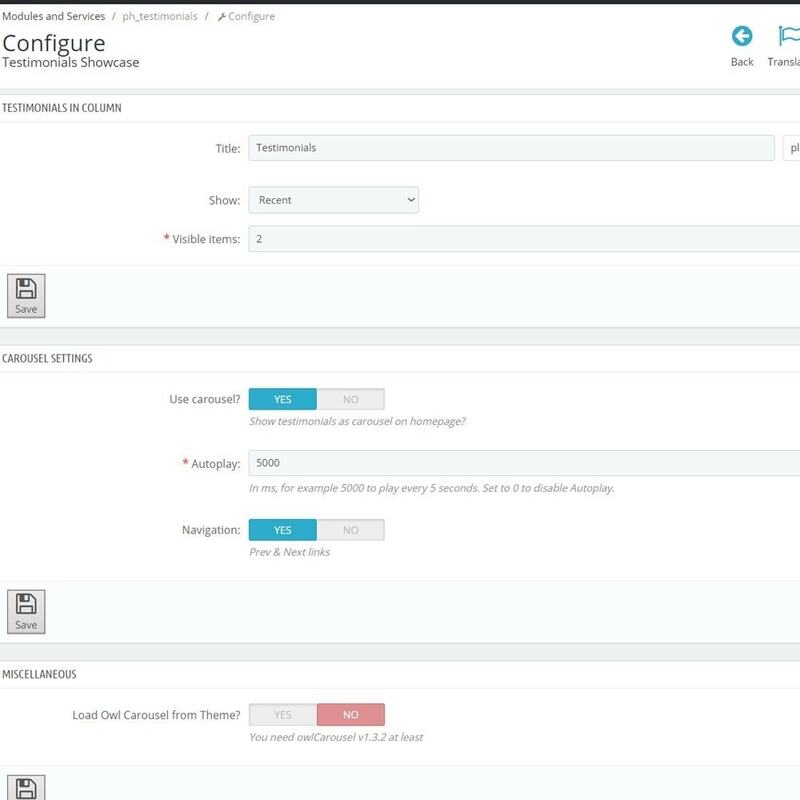 Module allows you to associate existing productimages of your products, to the combinations, without having to browse all the combinations one by one, or going to separated page, everything in the same place where you edit your product sheet.